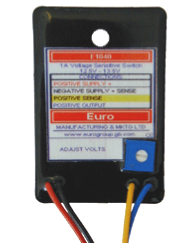 This Unit provides a set voltage to switch a load of up to 1A. The current drawn from the voltage source is < 1mA below the switching voltage. The output switches On as the voltage falls and Off as the voltage rises. 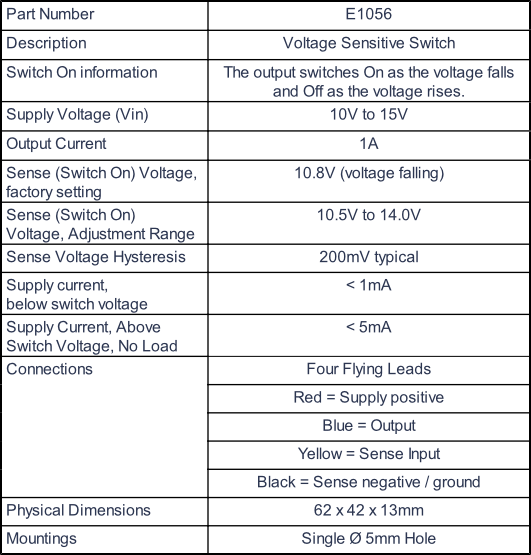 The switch voltage can be set in the range 10.5V to 14.0V. The Unit also can be used as a Solid State 1A Relay.